Lyuda was a lovely seventeen-year old girl with a potentially bright future. This was until she met Vova and the course of her life changed forever. Later, Vova would leave her orphaned and with a baby to care for. She was in pain and alone but she had a child. This meant she could not cry openly. Therefore, she tried to find momentary happiness at the bottom of a glass of Samohon. Angela is a happy child. She is blissfully unaware of the harsh realities of life. She often wanders in her imagination without a care in the world. What does a seven-year-old girl have to worry about anyway? One day her night spirit appeared and warned her of an impending darkness. She did not understand this but the meaning soon became apparent. With the help of her grandmother, she embarks on a mission to make her mother happy again. Her mother needs to be reminded of the joy she derives from having Angela in her life. When all is said and done, Angela can finally grow up without being held back by her mother’s past. She can move on out of the dark envelope that is her mother’s mistakes. Leonora Meriel successfully evokes intense emotion with this book. It is so sad and devastating to watch a child wish to be happy but hold themselves back to cater to their parent. She writes with vivid clarity and details the excruciating struggles Lyuda goes through. The author’s description of the Ukrainian countryside transports the reader to Lyuda’s little house with the lilacs outside. 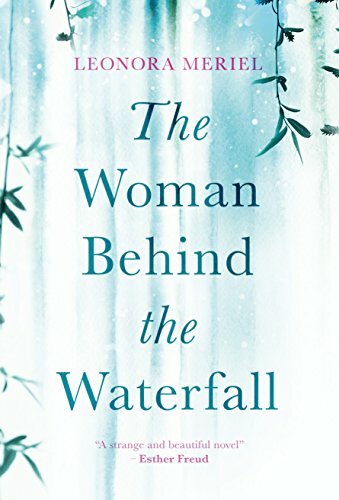 The Woman Behind the Waterfall is a good book about a mother’s desire to maintain her sanity. Not for her own sake but for the sake of her child. Not enough stories explain, in heart wrenching detail, the struggle that mothers go through. Especially single mothers. This novel, to me, was told with an air of reverence. I’m always looking for books that take me beyond the words and transports me into new characters with interesting stories to tell. What you’ll find here is a story about people and passion and the moments that test both of them. This book will leave you in tears. The story will ignite an urge to hug your mother and express appreciation for all the times she gave up her own life for yours.